This evening, we were transported by motorcoach to the Corral de la Moreria for a dinner with Flamenco show. 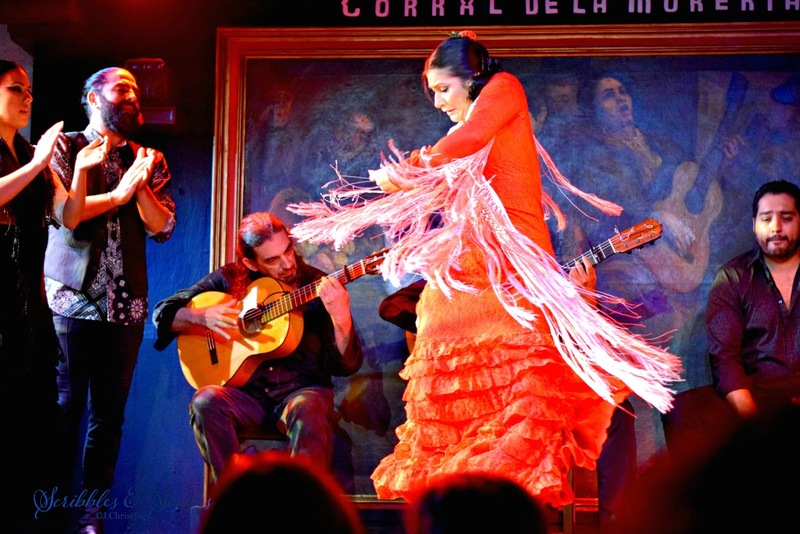 Advertised as the oldest and most famous Flamenco performance worldwide. Flamenco dancing and music is an art form from Gypsy, Moorish, and Andalusia roots since the 19th century. Flamenco is made up of four elements, Cante-Voice, Baile-Dance, Toque-Guitar, and the Jaleo, which roughly translated means “hell raising” and involves the handclapping, foot stomping, and shouts of encouragement.